For the past two years I have been working on the ESRC funded programme : Governing by Inspection . The project, led by Professor Jenny Ozga of Oxford University, This three-year research project, funded by the ESRC and the Swedish Research Council (Vetenskapsrådet) compares the use of school inspection as a form of governing of education in the three systems of Sweden, Scotland and England, in the context of current changes in inspection practices in Europe (see : http://www.education.ox.ac.uk/governing-by-inspection/). The project has involved a number of publications (see my publications page) and latterly a book , due to be published by Routledge in September 2014: Governing by Inspection (Grek,S and Lindgren,J, 2014) London. Routledge. You can find more information on our conference presentations on my Conferences page. Conference fee: No conference fee will be charged. Travel and subsistence expenses are covered by participants. The European School Inspection research consortium is delighted to invite you to a symposium in Gothenburg in June 2014 to share new research and practitioner evidence, enhance our understanding of (the impact of) school inspection and discuss ways in which inspection can be enhanced. The role of the media on international education policy has been recognised for some time now (Anderson, 2007); not least in terms of the often powerful impact it exerts not only on education policy but on public service policy more generally (Wallace, 1994,Hall, 1997). Education inspection is now employed by a number of countries both within and outside of Europe, to govern complex education systems (Grek, Lawn, Ozga, & Segerholm, 2013). InEngland in common with other OECD countries (see Rönnberg et al, 2012), school inspection is the focus of a great deal of media attention, particularly since the inception of the current inspectorate, Ofsted, in 1992. Since The Conservative /Liberal coalition took power in 2010, the media has increasingly been used to criticise the extent to which the inspectorate is being used to fulfil the government’s education agenda; raising questions about the extent to which its judgements can be said to be impartial (Baxter, Rönnberg, & Ozga, forthcoming). This paper draws on media discourse theory (Negrine,2013) to employ a case study approach to examine the ways in which The Academies Act 2010 (Parliament, 2010) and the policy advocated by the act is linked to media coverage of inspection. The legislation develops a policy which began under the previous Labour Administration, and is aims to encourage the further development of an education system in which state schools assume financial and curricular autonomy. Sampling from 3 national newspapers: The Times, The Guardian and The Independent, the study analyses 200 articles on inspection which make indirect and direct reference to the act. Using a framework for media analysis (Baxter et al forthcoming) , the paper explores how media coverage of inspection within the period 2010 to 2013 is framed in terms of the act . (Negrine, 2013) .The research questions examine: how the media shape their coverage in order to appeal to the public; what news values are employed in order to colour and condition stories in ways that make them acceptable and persuasive to the public; and finally : how news stories are cognitively framed in order to create links between education policy and public understandings. The paper concludes that in linking inspection to this policy, the media potentially exert considerable influence upon the ways in which this policy is understood and received by the public. The study draws upon 100 news articles from 3 National Newspapers published within the time period 2009-present, which make reference to both inspection and academies. Using a framework for media analysis (Baxter et al forthcoming) the project examines a) What news values are employed to colour and conditions stories in ways that make them acceptable and persuasive to the public b) How are these news stories cognitively framed in order to create links between education policy and public understandings of inspection and academies c)To what extent the three newspapers both justify and criticise this policy via their reports on inspection d)What implications do media crafting and presentations of stories on inspection and the academies project have for the future of education policy in this area ? The findings are expected to reveal : a) What news values are employed to colour and conditions stories in ways that make them acceptable and persuasive to the public b) How are these news stories cognitively framed in order to create links between education policy and public understandings of inspection and academies c)To what extent the three newspapers both justify and criticise this policy via their reports on inspection d)What implications do media crafting and presentations of stories on inspection and the academies project have for the future of education policy in this area ? Anderson, G. L. (2007). Media’s impact on educational policies and practices: Political spectacle and social control. Peabody Journal of Education, 82(1), 103-120. Hall, S. (1997). Representation: Cultural representations and signifying practices (Vol. 2): SAGE Publications Limited. Negrine, R. (2013). Politics and the mass media in Britain: Routledge. Parliament. (2010). The Academies Act 2010. London: HMSO Retrieved from http://www.legislation.gov.uk/ukpga/2010/32/pdfs/ukpga_20100032_en.pdf. Rönnberg, L., Lindgren, J., & Segerholm, C. (2012). In the public eye: Swedish school inspection and local newspapers: exploring the audit–media relationship. Journal of Education Policy, 28(2), 178-197. Wallace, M. (1994). The contribution of the mass media to the education policy process. International Journal of Educational reform, 4(2), 124-130. Wallace, M. (1996). Guided by an Unseen Hand: The Mass Media and Education Policy. In K. Watson, S. Modgil & C. Modgil (Eds. ), Educational dilemmas:Debate and Diversity: Vol.3.Power and Responsibility in Education (Vol. 3, pp. 147). London: Cassell. My work into the roles and identities of school governors looks at the changing face of school governing in England and Wales – specifically those working in areas of high socio economic deprivation. Governing their future: the roles and identities of federation school governors in areas of social deprivation Project Summary. The project, based at The Open University UK looks to investigate the roles and identities of volunteer governors working in areas of relatively high socio economic deprivation, (1% above the average Free School Meals indicator) and whose schools form part of a federation. School governors are under considerable pressure to perform within an environment in which, increasingly they find themselves governing autonomous schools (academies or free schools), with no support from Local Education Authorities. A recent Parliamentary enquiry into the role of volunteer school governors (Parliament, 2013a, 2013b, 2013c), found that not only were governors confused about their role, but they were also being asked to undertake far greater responsibilities than they have ever, in the history of school governing, been asked to take. (Sallis, 1988). In addition to this, they are, under the 2012 Inspection Framework, facing increasingly stringent levels of regulation and failure to reach the necessary standards has profound consequences for both schools and governors (Baxter, 2013, 2014). 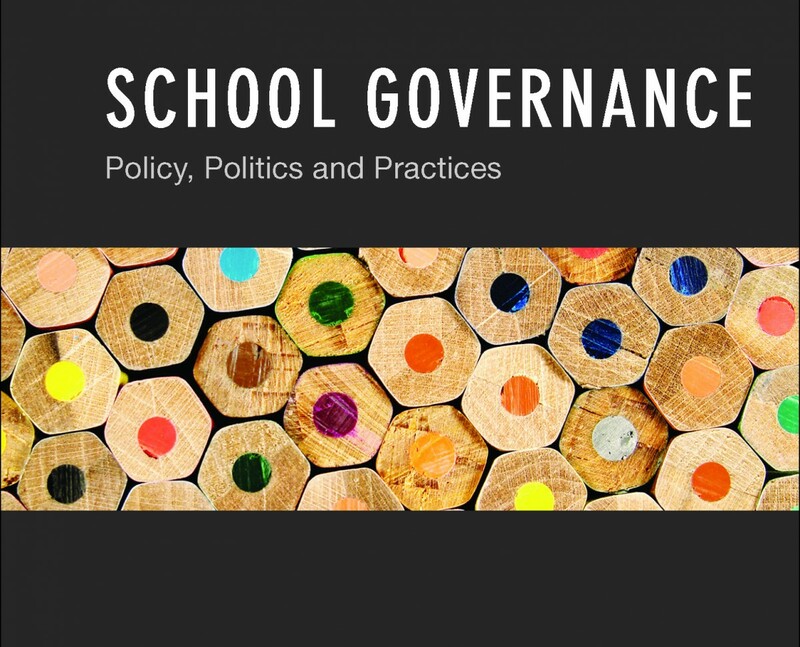 But it is not only the shifting notions of accountability that place great pressure on governors: new forms of schools such as federations and academy chains, mean that governors often find themselves responsible for more than one school. (Baxter & Wise, 2013). This too has implications for the ways in which they carry out their role and also how they are placed in relation to the community/communities which they serve. Increase understanding of the ways in which the governor role is located in the wider context of educational governance. 3.Recommend areas for targeted intervention and development, particularly in the area of identity/role performance and individual and group efficacy. 4. Identify particular challenges in the governing of federations. The project draws upon interviews with governors and head teachers from three federations based in the North East of England. 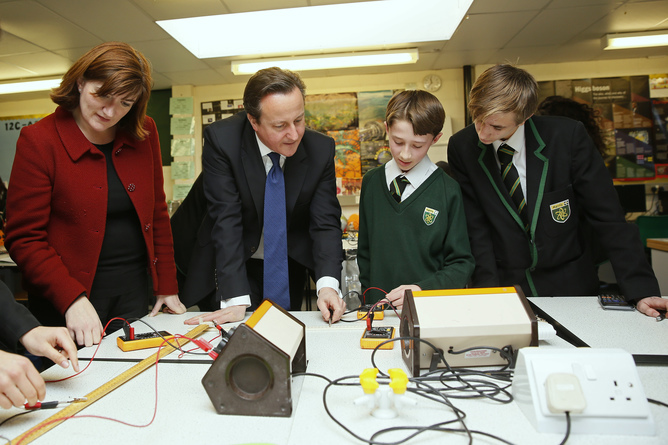 All three federations have !%+ more than the national average of pupils on free school meals. The interviews will each last one hour. The study also draws on quantitative data which is being supplied by Ten Governor Support. The data draws on 41k governor questions on aspects of governing. The Analysis will link the responses across all schools in England with above average on the FSM indicator with the qualitative interviews in order to respond to the research questions. My work into school governors is also linked to the work of Visiting Research Fellow Dr Karine Vignault from The Centre hospitalier de l’Université de Montréal . She is looking at practices involving Patients Ressources in the governance of health organizations as a new site of citizenship. In order to: 1) to identify the ways in which PR are currently defined and produced as subjects of public action, with a particular emphasis on the network of relationships in which they are embedded and which they contribute to create; 2) to foreground the effectiveness of these assemblages in terms of the power relations that they enable, notably through the mobilization of notion of expertise. The research will be conducted via an ethnography of the Centre hospitalier de l’Université de Montréal (CHUM), an important university hospital centre which is currently experimenting with ways of including PR in its governance (especially in quality management committees), in order to ascertain: What are the conceptions of the Patients Ressources that are circulating? What are the representative claims at play in discourses and practices involving Patients Ressources? How does the dilemma between authenticity and expertise operate in/through the recruitment and training of PR? How do emotions come into play?